Fabulous thatched cottages galore in Cambridgeshire. Summer is the perfect time to spend a few days in Cambridgeshire. Largely agricultural, the fields are full of golden wheat and the countryside resembles a patchwork of hues from gold, to green to brown. People are often surprised to discover the large number of narrow country lanes edged by tall hedgerows and the masses of wild flowers that grow on verges and the borders of fields. The famous jewel in the crown in Cambridgeshire may be the university city of Cambridge but the villages offer rustic beauty, charm and interesting features that are equally pleasing. 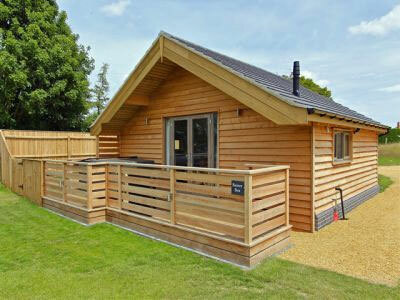 One of the not to be missed villages is Melbourn, a little under 15 miles south west of Cambridge. 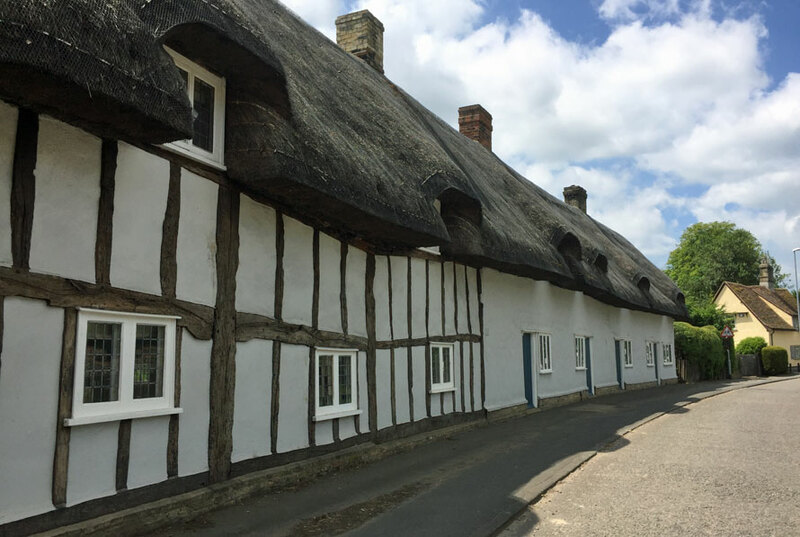 First impressions of the village of Melbourn are of quaint thatched cottages, period houses and peaceful streets. 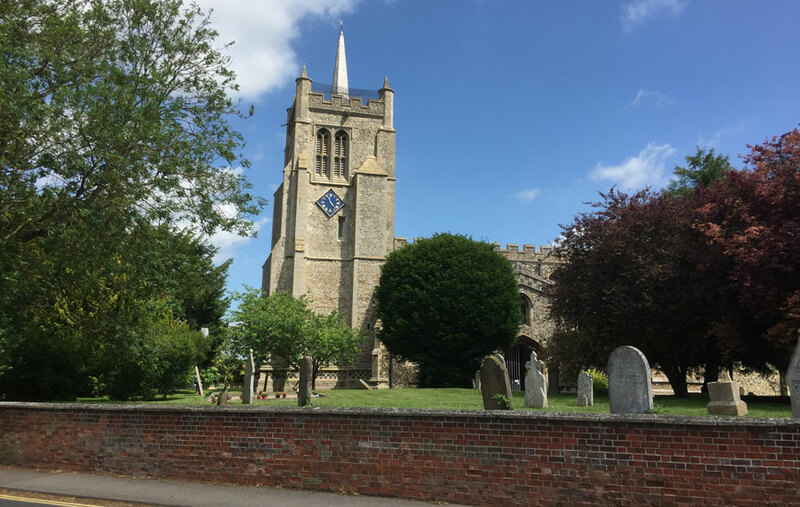 Take a walk around the centre of the village and the first thing to notice is the flint-studded parish church of All Saints that stands in a slightly elevated position overlooking the tombstones of its former parishioners. The person who planted a row of copper beech trees on either side of the path to the church door was inspired. These have grown to create a stunning shady passageway that leads to the entrance. High up in the bell tower, visitors can see a green man plaque that was added by superstitious stonemasons hedging their bets. A coffee morning is held in the hall at the rear of the church every Saturday morning between 10:00am and noon. Tea, coffee, biscuits and good conversation can be enjoyed for a nominal fee. A small car park adjoins the hall. Across the road from the church is a fairy-tale thatched cottage with a traditional English country cottage garden and this is just one of many in the village. Expect to see roses rambling over walls, hollyhocks gracing corners and marigolds adding cheerful bursts of colour. Next door to this cottage is Melbourn Fire Station which looks little more than a garage with a red painted door. It still houses the former hand pumped fire truck and an ancient bier used for burials. Walk northwards up the High Street and a few minutes-walk brings you to a long row of terraced and whitewashed thatched cottages. 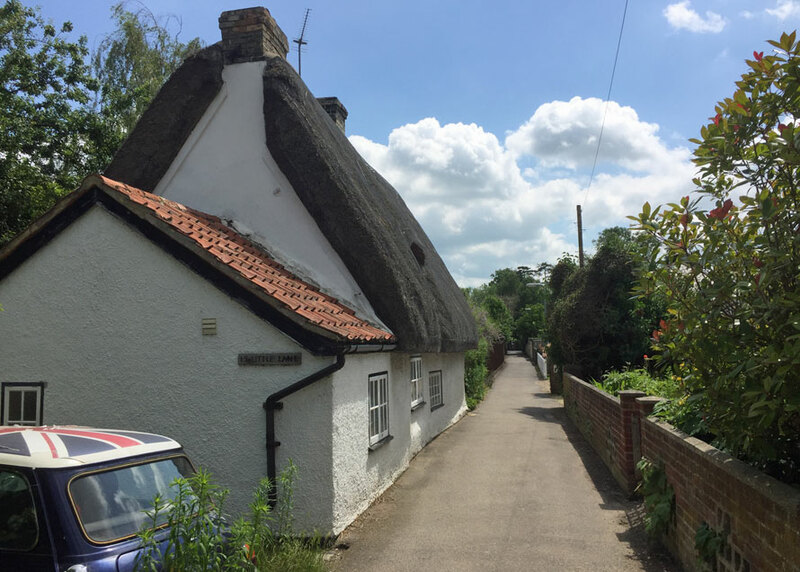 These are the Sheepshead Cottages, so called because when the coaches travelling to Cambridge passed through the village a couple of centuries ago, the mob-capped ladies would peer out of their doorways and resemble sheep with their white cloth heads. If you wish to admire more charming period cottages, there are three more colourful thatched cottages tucked behind this row, in Drury Lane. Head back up the high street in the opposite direction and turn left into the Little Lane just after the Co-Operative Store. This narrow one-way road is lined with lots of quant cottages with country gardens. There used to be a network of tiny lanes at this end of town, but it was sadly devasted by a fire. Only a few lanes remain but give visitors an idea of how people used to live. It is essential to wear comfortable footwear because many of the curious features of this village can only be discovered on foot. 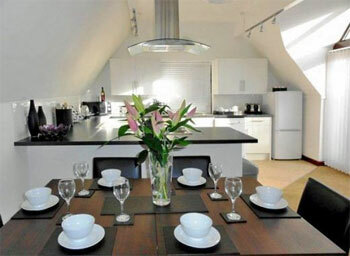 Melbourn would be a fabulous place to stay for a Cambridgeshire holiday. 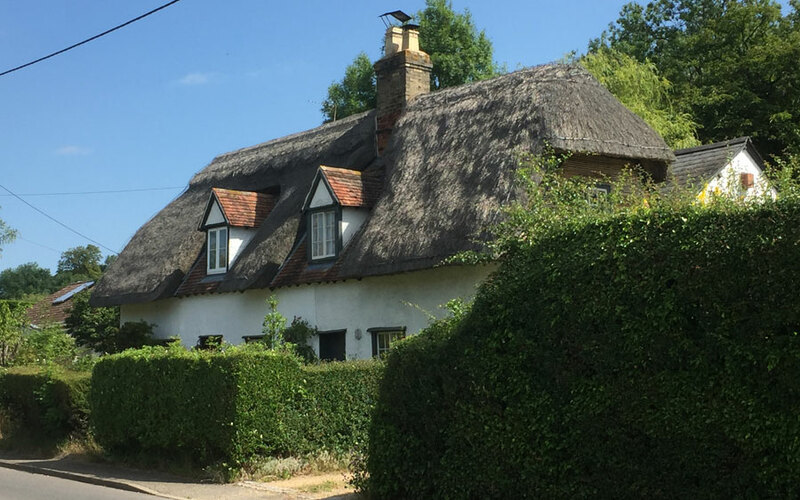 If you are really fortunate, you may be able to rent a thatched cottage or a house set back from the road in a tranquil spot. A small Cambridgeshire village is just perfect for a country break because it is likely to have that handful of shops that provides essential groceries and services within walking distance. Melbourn has several good pubs for nights out. 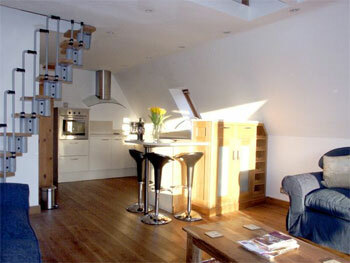 Surrounding Melbourn is peaceful countryside, walks and nature. There are many other villages similar to Melbourn in Cambridgeshire that are highly recommended for a self-catering break. And the city of Cambridge is either a short drive away via a Park and Ride facility or by bus. 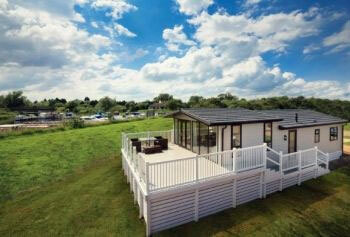 Be kind to yourself and book a Cambridgeshire holiday home. Cambridgeshire has acres of fields sown with wheat, broad beans and other crops. Enjoy a walk to see the wild flowers in the hedgerows and verges. Visit the farmer's market held in St. Neots on the 2nd and 4th Saturday of the month to bring a taste of Cambridgeshire into your holiday home.